Dave King, vice president of inside sales at C&M Conveyor, has retired after 25 years of service to the company. 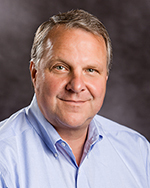 Dave joined the company in 1992 as inside sales manager. He became a sales trainee in 1993 and served in positions of increased responsibility prior to being named vice president of inside sales. Dave has an associate’s degree from Indiana State University in mechanical technology.